James Lawrence Powell is a former geology professor, college president and museum director. He is currently the executive director of the US National Physical Science Consortium. He is also an excellent communicator of science for the general reader. 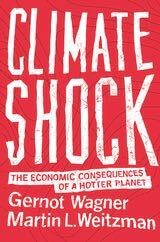 I reviewed two of his climate change-related books back in 2011 here and here. 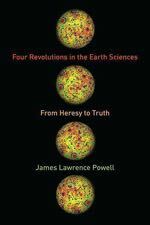 His latest book, Four Revolutions in the Earth Sciences: From Heresy to Truth, is wider in its scope, and places climate science alongside three other major scientific understandings which emerged in the course of the 20th century, profoundly affecting our knowledge of the planet. Powell the geologist was familiar with the fact that great geological discoveries of the 20th century had had to struggle for decades to gain acceptance by the community of geologists. It was no easy ride for the propositions that the planet is billions of years old, that continents and sea floors move, and that meteorites crash into the earth. The opposition and the controversy his book narrates were often intense before the theories gained wide acceptance. Powell had researched modern climate science, but was less familiar with its past history. He discovered that its early proponents had also suffered initial rejection of their theories and it was many decades before the correctness of their discoveries was acknowledged. “We can’t make sense of our future until we make sense of our past”, writes Howard Lee in his recent book Your Life as Planet Earth: A new way to understand the story of the Earth, its climate and our origins. The book demonstrates the very considerable sense that science has been able to make of our past. There are clear lessons for us as we forge our future, though whether the political leadership is able to take on board those lessons is moot. 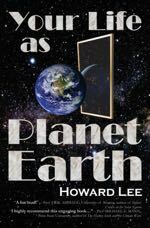 In the first part of the book Lee provides a highly readable account of the turbulent history of the planet in the four and a half billion years of its existence. Geology, climate and the evolution of life are the recurrent themes. He measures this long history against an imagined human life spanning a century. It’s an entertaining and effective way of depicting the enormous spans of time before humans arrive on the planet. On this measure simple life starts in the teens of the centenarian’s life; oxygen arrives during the mid-life crisis; primitive plants and fungi start to colonise land in the late 70s; at 86 complex animals show up; in the 90s four-legged life evolves from fish; at 98 the dinosaurs are extinguished; homo sapiens doesn’t emerge until the 29th December in the final year. And in the few remaining minutes of that last year we have achieved a rapid rise in atmospheric carbon dioxide to levels not seen since the Pliocene, three and a half million years ago. Our rates and quantities of carbon dioxide generation are rivalling those of the great igneous eruptions which had highly destructive effects on the climate of their times, triggering global warming, ocean anoxic events and mass extinctions. We’re making our presence felt in no uncertain manner, and Lee sees no reason to assume we can avoid the consequences which attended past rapid escalations of carbon dioxide in the atmosphere. Canadian Tom Rand is an enthusiastic promoter of the clean technologies which are fully capable of saving us from the worst ravages of climate change. He’s also an investor in the field – a capitalist, he happily acknowledges. And importantly for his readers he’s a lively and thoughtful writer with a knack for striking observation. 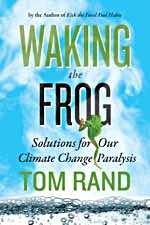 Waking the Frog: Solutions for our Climate Change Paralysis [Amazon] is partly an attempt to understand why we have stepped back from what looked in the early 1990s like a promising start to rein in greenhouse gas emissions. 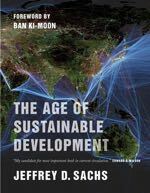 It is also an affirmation that we have the means to move rapidly away from fossil fuels if we have the will. Rand hopes that the fact that he is a capitalist operating within the system he critiques will lend credibility to his criticisms.